This is a cake that I made for Halloween with a zombie hand clawing its way out of the grave. Despite its unappetitizing appearance, the cake is actually very delicious with a flourless Grand Marnier chocolate cake and dark chocolate glaze. 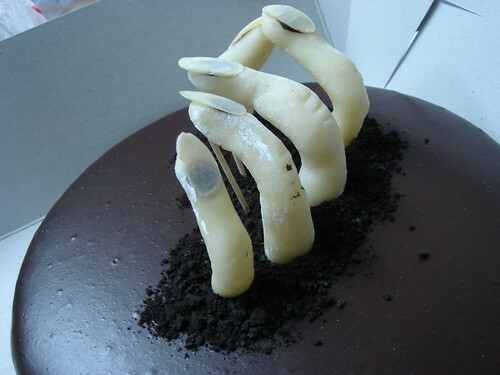 The fingers are made with marzipan. See blog entry for recipe.